Stay connected, even when the power is out. This free app from Puget Sound Energy allows you to track power outages in your neighborhood, report an outage and check status and estimated restoration times. 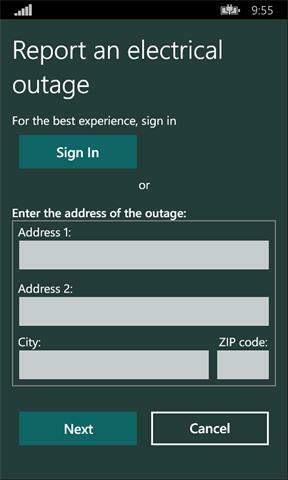 The myPSE outage app is the best way to report a power outage. *data charges may apply -Search the outage map by address, city or ZIP code. -Zoom into the outage map to view shaded shapes indicating the impacted outage area. -See if your home has power (sign-in required) -Click on a pin or shaded area to view estimated restoration times, the cause and status of the outage and how many customers are out of power in each location, as the information becomes available. -Report an outage and check status for locations associated with your account. 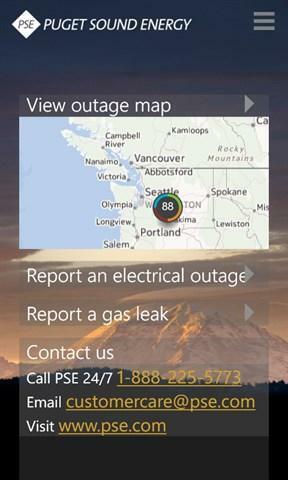 -Report an outage for other locations within PSE’s service area (valid address authentication required; must also leave a valid contact phone number).